"To light up every restaurant in Britain with innovation and style. And have fun doing it!!" Clearcraft was established in 1990, initially as a market trading business at Greenwich Market. We had one stall, and sold our glass candles, that we imported from Germany. We have been passionate about oil candles since we first dicovered them in Germany, and now we design lamps, own patents on lamps and have been safety consultants with ROSPA for these kinds of products. After finding the products in 1991, we soon set up our own glass blowing factory and started designing and making our own. The business grew and we supplied many retailers throughout the UK, including TESCO, ASDA The GADGET SHOP and CONRAN. 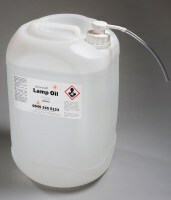 Now, we concentrate exclusively on the restaurant market, although our oil is still available direct from ourselves. Because we have chosen to specialise in restaurant supply, all of our innovation is led by our customers. When we can see a need, then we try to fill it with a new design, or modification of an old one. Last autumn for example, we introduced six new designs, in direct response to a demand for candles with a protected flame and also for candles that are very small, to take the place of t-lights.